Chalet holidays have improved beyond recognition since they first appeared. We have chalets with gyms and lifts, saunas and hot tubs, breathtaking views and liveried Land Rovers. The food has evolved from a bowl of Beef Bourg knocked up by somebody’s sister into a nightly dinner party with dishes as good as you could find in the best restaurant in Val d’Isère. See our Food and wine page for full details (and mouth-watering photos!). Yet chalet holidays remain extraordinarily good value. Whether you choose our top chalet at New Year or our most modest in late April, there is no way you could organise your own rapid, seamless flights and transfers, comfortable accommodation, cooked breakfasts, fresh cakes and superb dinners with unlimited quantities of rather good wine for anything close to the prices we charge. Val d’Isère’s long season enables us to share our costs and keep our prices surprisingly reasonable. If value for money is not your main concern, a chalet provides a comfortable home-from-home you can treat as your own, where you don’t have to whisper over starched table cloths, and where the staff are charming and helpful without being intrusive. You have all the advantages and none of the constraints of a good hotel, and all the freedom of self-catering without the chores. Many people choose chalets because they love the atmosphere. Most of our chalets are taken over by single parties, so the atmosphere is whatever you want it to be. Some groups stagger home from the nightlife at dawn, others are in bed by ten and catch the first lift. But it is true that there is no other holiday where you can do pretty much exactly what you like, as long as you take your ski boots off and don’t disturb the neighbours. A long bath after skiing, a glass of wine and canapés around the log fire before dinner… And we always have one or two chalets split between individuals, couples and small parties, where good food, plentiful wine and civilised people with a shared interest (and whom you may never see again…) can’t fail to create an ambience around the dinner table. The service, food and wine are the same in all YSE chalets. Only the degree of comfort and the location vary. Our most expensive chalets are Pic Noir, Perdrix, Ptarmigan and Chalet d’Isère. The “PPPs” were built two years ago and are utterly luxurious apartments on the main street in the middle of the village. 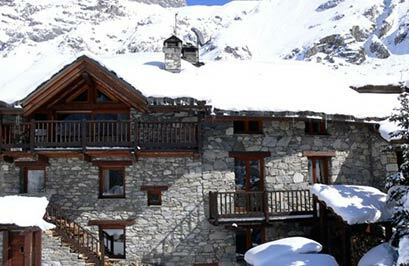 Chalet d’Isère was built at the same time and is one of the finest 16-bed chalets in the resort. 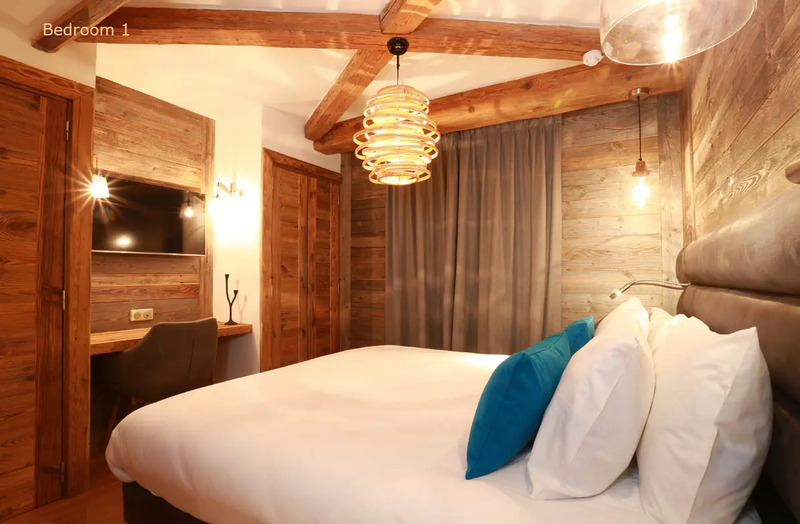 All four have en-suite throughout, of course, lift, saunas, log fires, huge balconies, big views, wifi, bootwarmers – everything you could dream of – and Chalet d’Isère also has an indoor hot tub and a TV room. 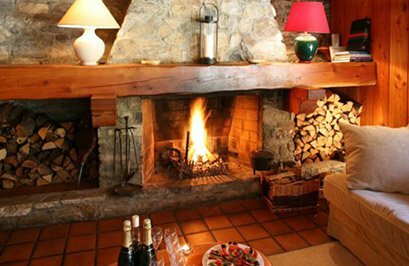 Our least expensive is La Moraine, a traditional chalet near the nursery slopes with a bathroom for every three guests but at least as much atmosphere, and still the indispensable bootwarmers and wifi. We aim for restaurant-quality cooking and hotel-standard cleaning, and we select, train and supervise our staff accordingly. If this isn’t quite right for you, we offer all sorts of cost-price optional extras, from superior wine to daily linen changes, from taxis to the slopes to champagne on the slopes, enabling us to tailor your holiday to your requirements. But none of this will make you happy if you are a cantankerous old curmudgeon who never wanted to come in the first place! Enjoying the company of friends or family is half the point. YSE won’t subject you to the quizzes or pub crawls beloved of some tour operators, but you still need to be vaguely sociable. Even in a chalet for four there are three other people’s holidays to ruin, and a chalet girl who’ll dine out on your grumpiness for twenty years! We offer discounts for booking the whole of some of our larger chalets. On certain high season dates we accept children over five into the larger chalets even when not booked by one party. If not having children in your split chalet is a priority, you must tell us at the time of booking. No YSE chalet is inconvenient for skiing. Four of our chalets have a Land Rover shuttle, while guests in most of the others can be on a lift within minutes of leaving their door, and some step straight onto the snow. When you step back, of course, it is more comfortable for everyone if you can leave the snow outside. We recommend you bring some sort of indoor footwear so you can take your Ugg boots off at the door. Like any house, chalets can have the occasional technical problem. There are few buildings in Val d’Isère, new or old, which don’t need a plumber or electrician at least once during the long winter. But YSE’s reps and repairmen never sleep (or if they do, there’s a phone by the bed), so while we can’t promise you’ll never need to call for help, we can guarantee that it will arrive rapidly. This is a promise we can only make because John Yates-Smith, the YS of YSE, is available all winter. We have stayed in most of our chalets, and would not be offering them to you if we hadn’t enjoyed them ourselves. But please note that they are all different. Some are on the slopes. Some are close to the action. Some are ideal for families. Some suit people who stay in every evening. Some have close neighbours and are not recommended for party animals. With twenty chalets to choose from, we probably have one the right size and price for your group.